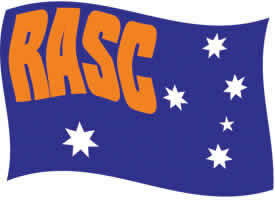 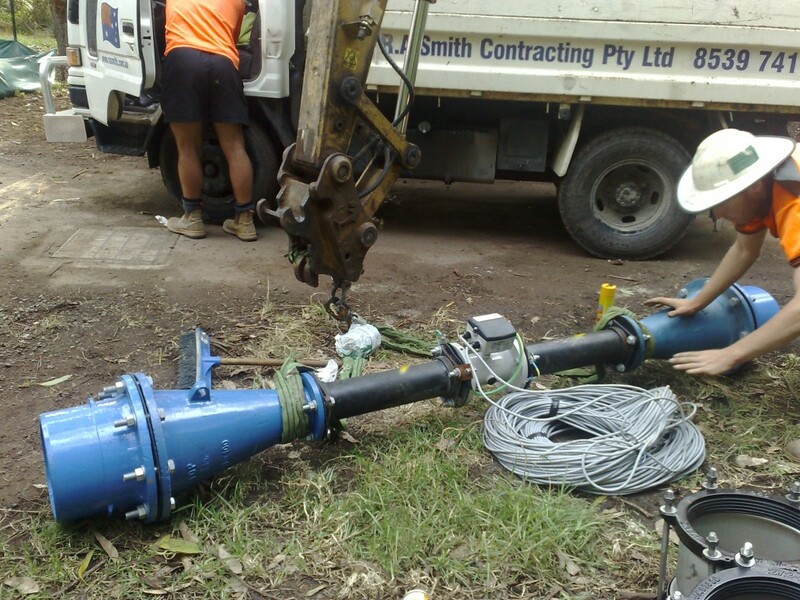 R.A. Smith Contracting have ongoing work with Sydney Water’s Water Alliance Partner for the installation of Pressure Reducing Valves (PRV’s), Water Pressure Monitoring Points and Flowmeters on Sydney Water’s trunk and reticulation water supply networks. 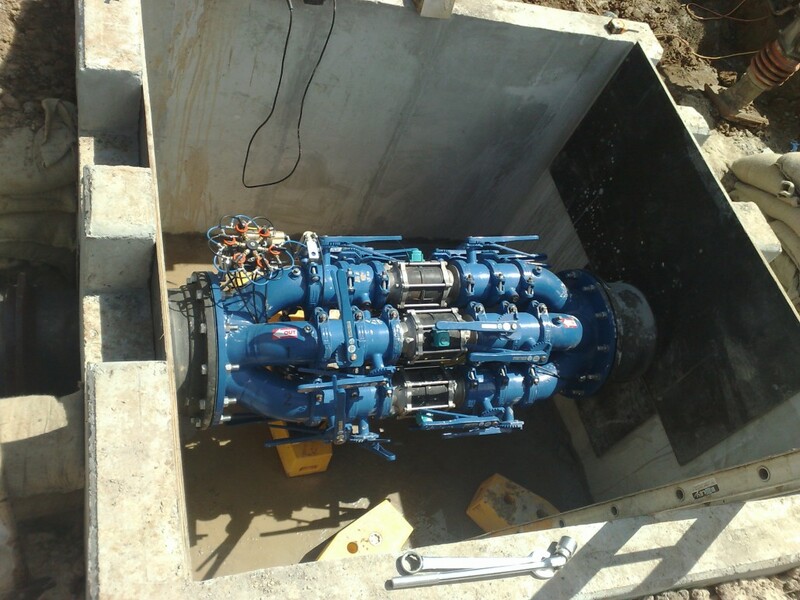 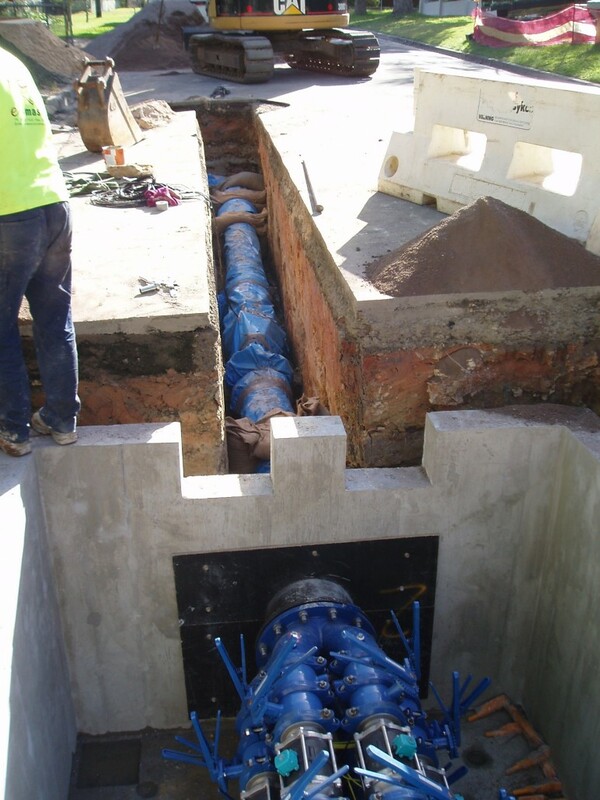 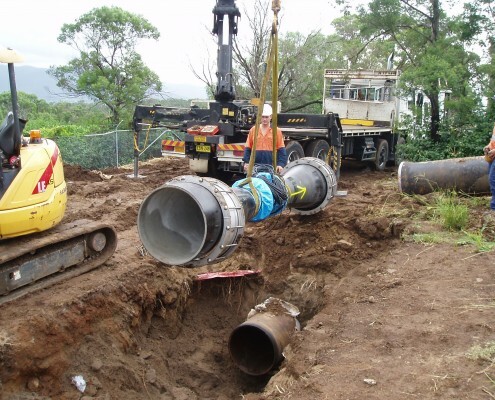 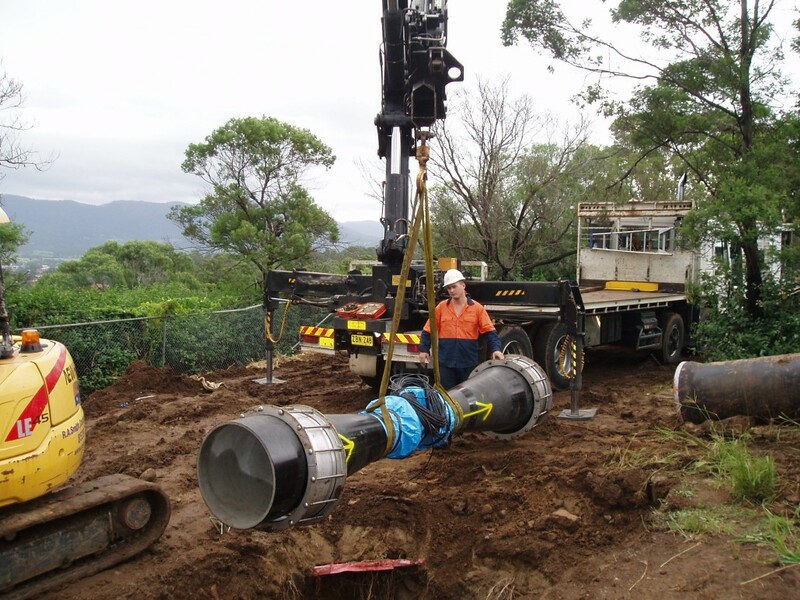 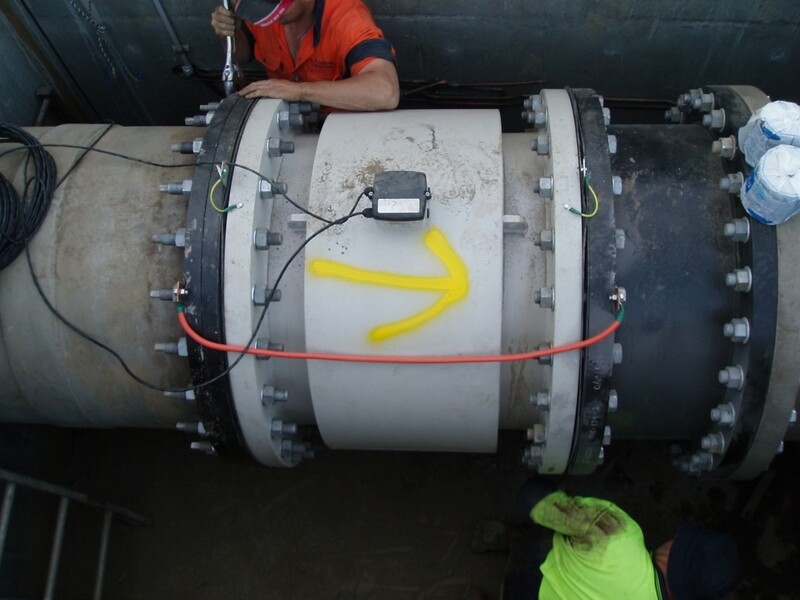 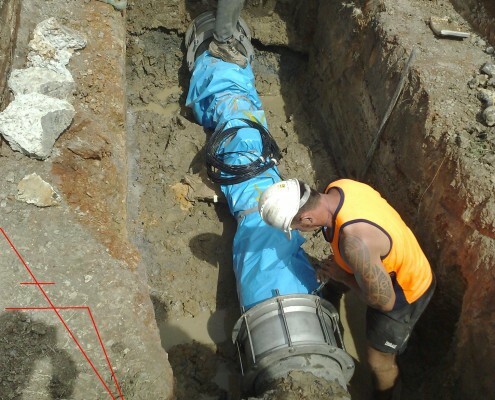 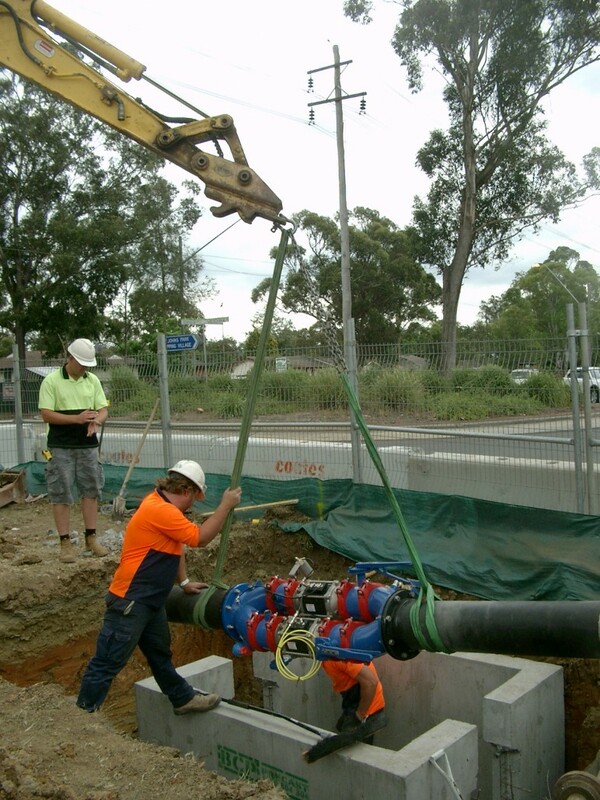 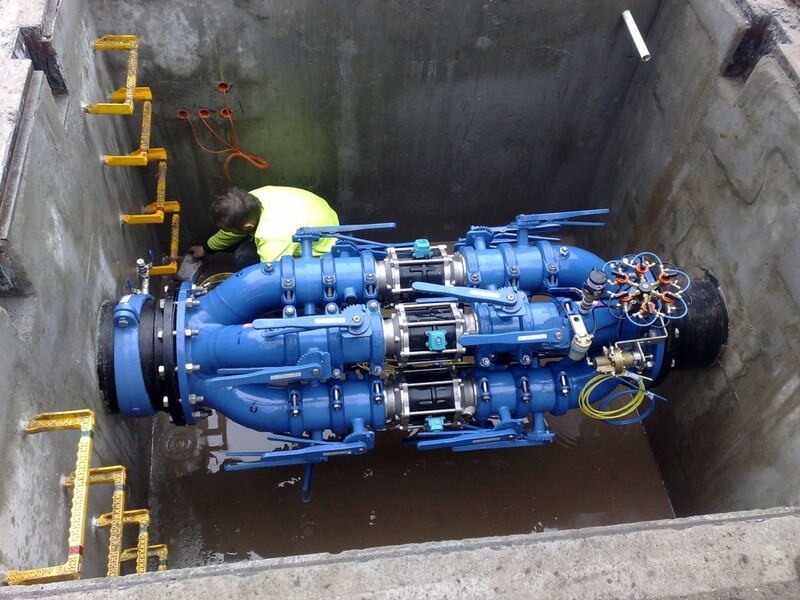 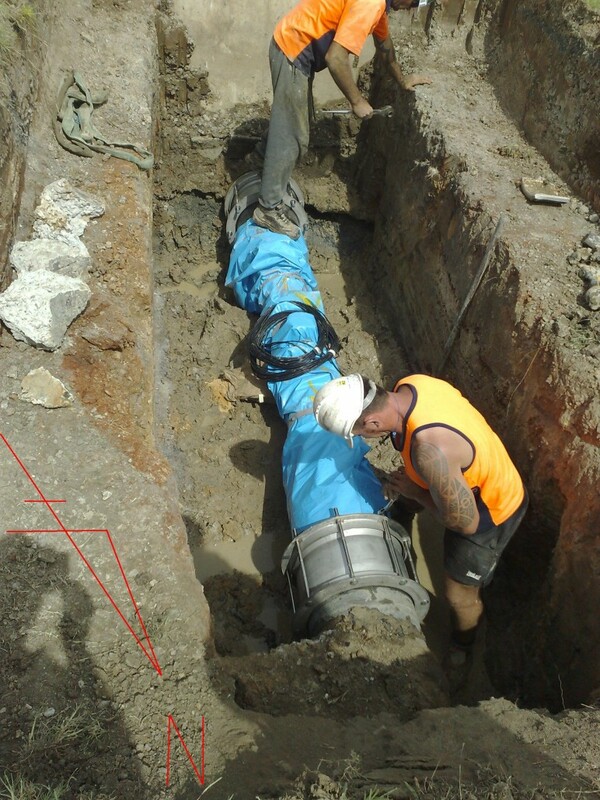 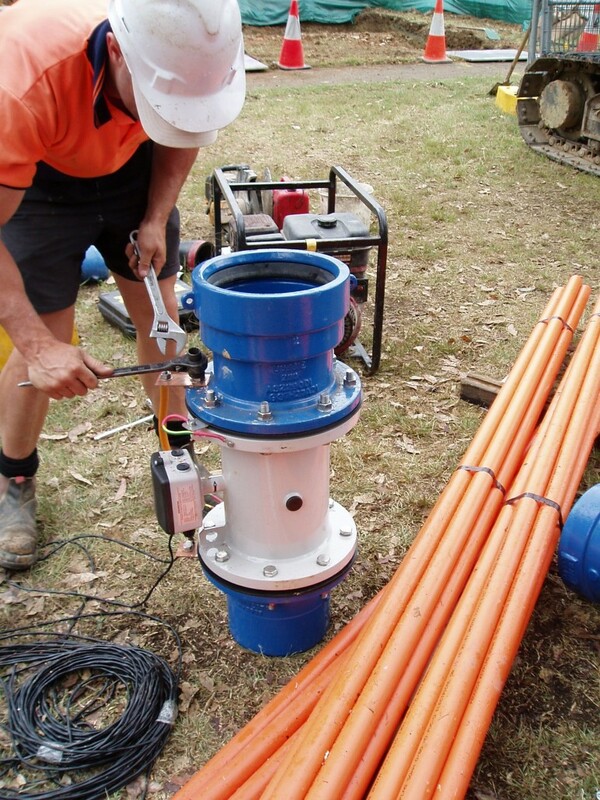 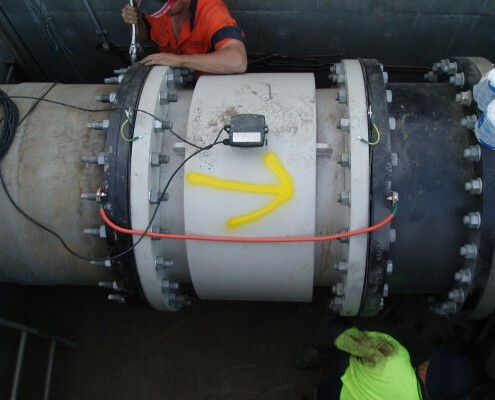 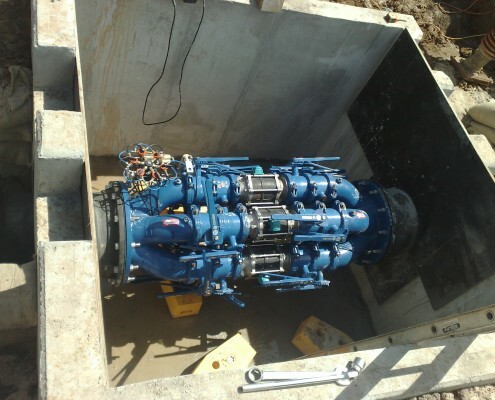 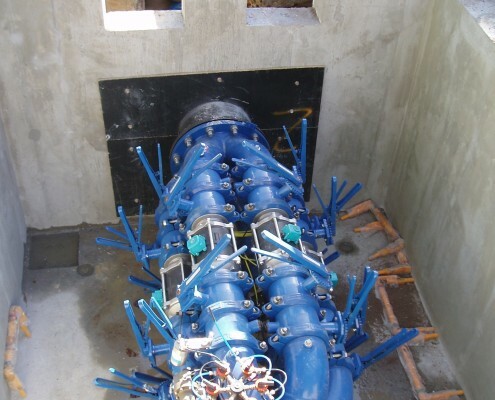 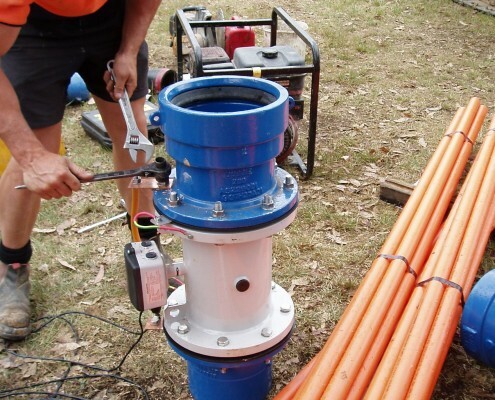 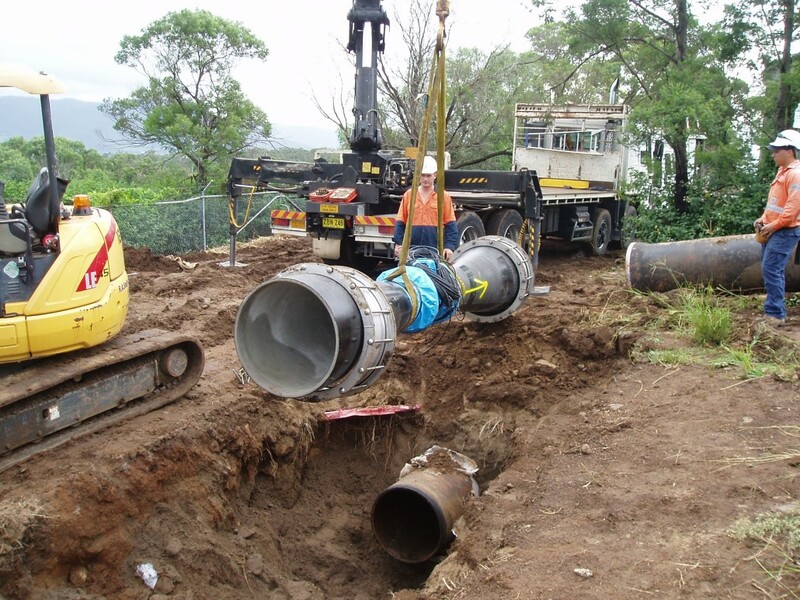 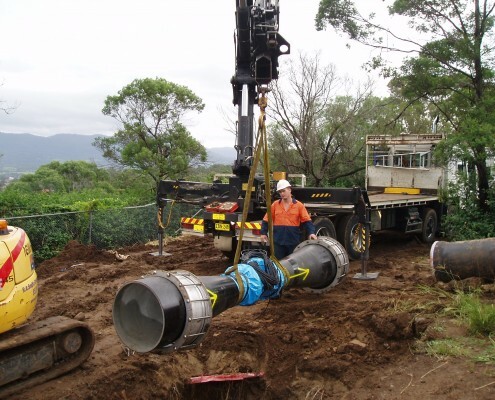 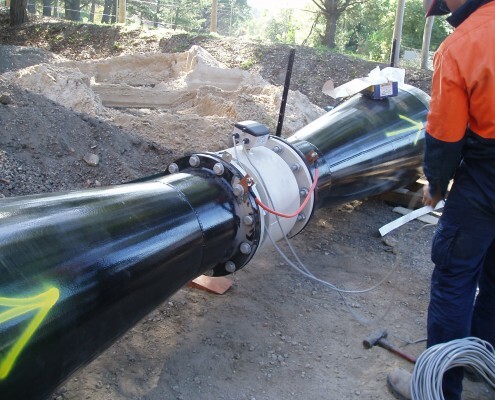 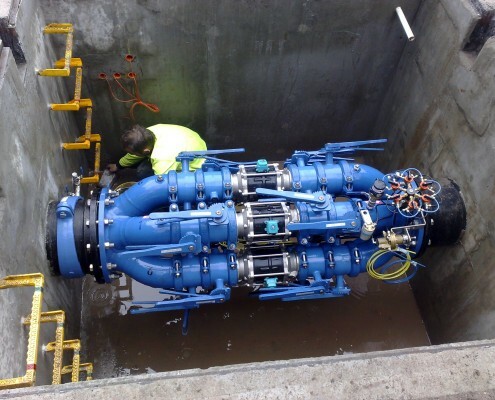 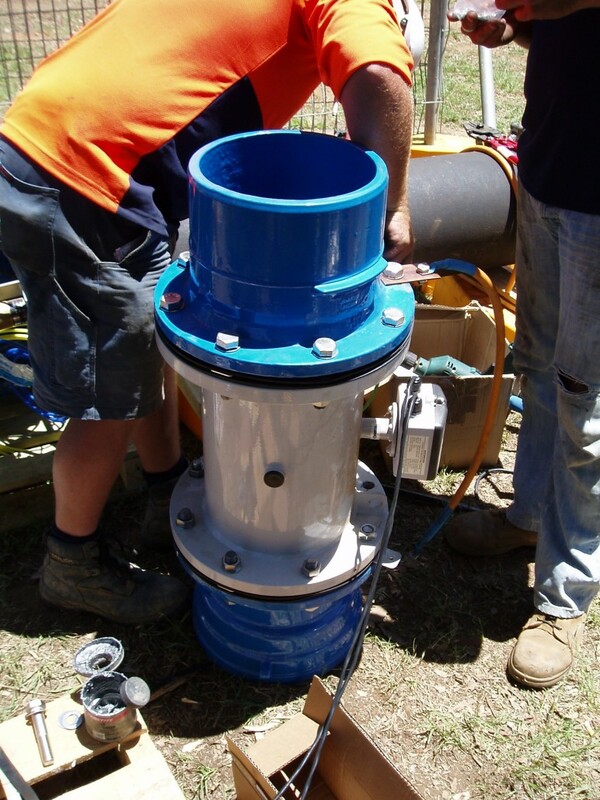 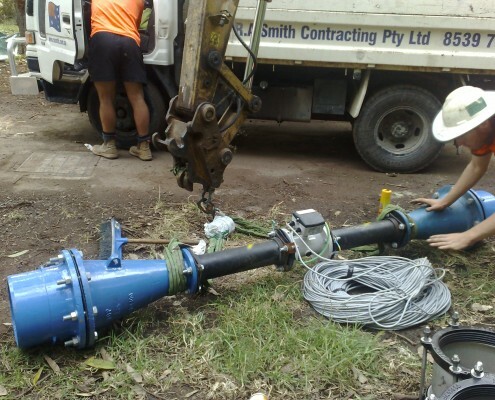 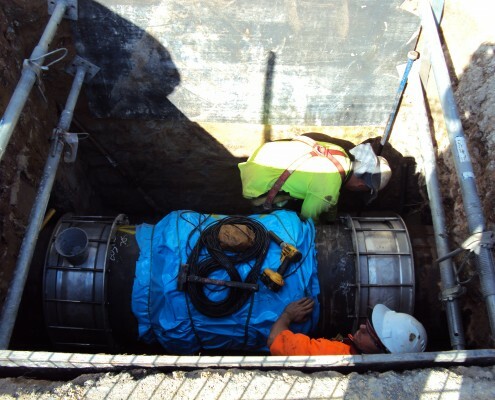 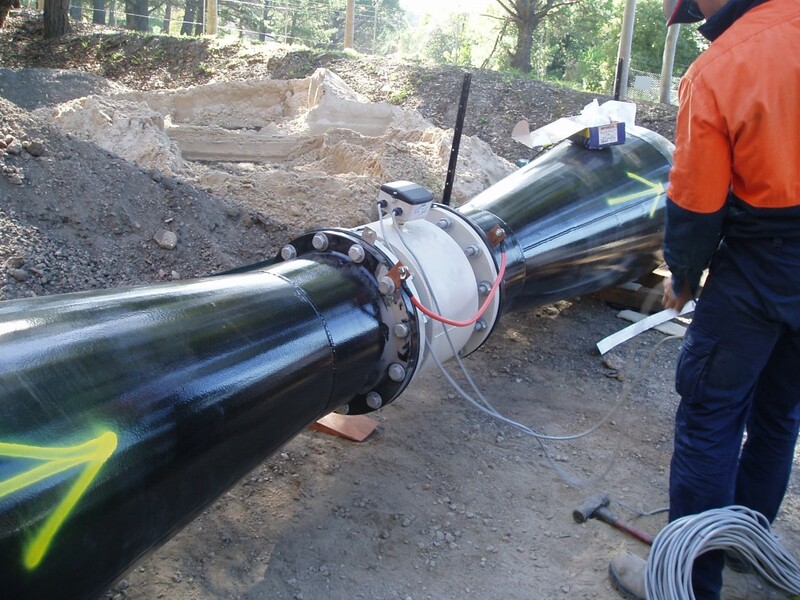 R.A. Smith have installed PRV’s both in-line and off-line on watermains from 100mm diameter up to 2100mm diameter across the Sydney Water area of operations. 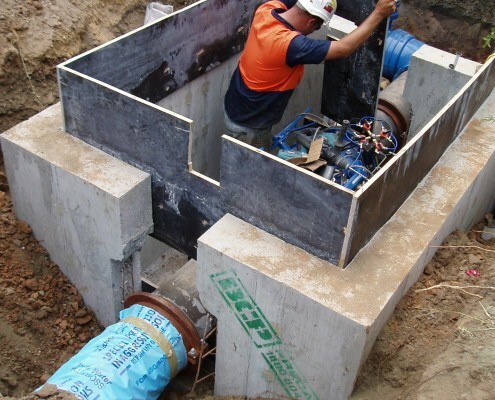 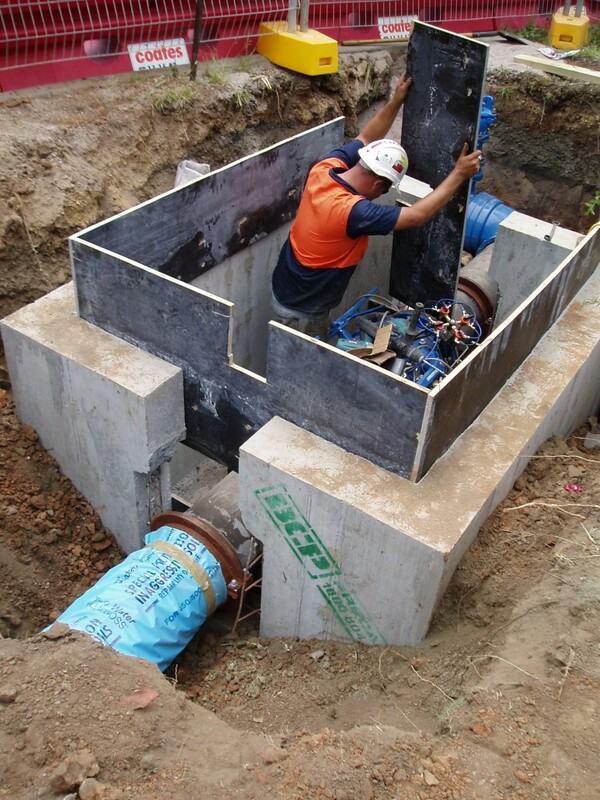 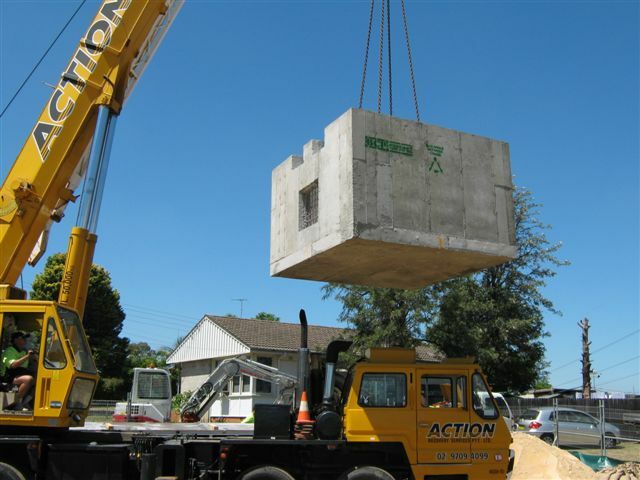 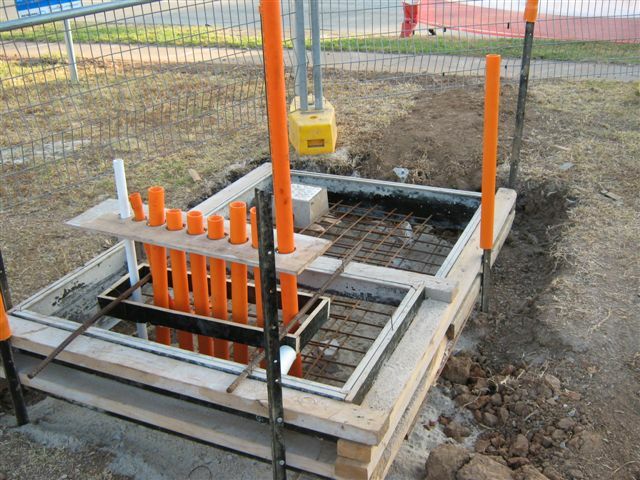 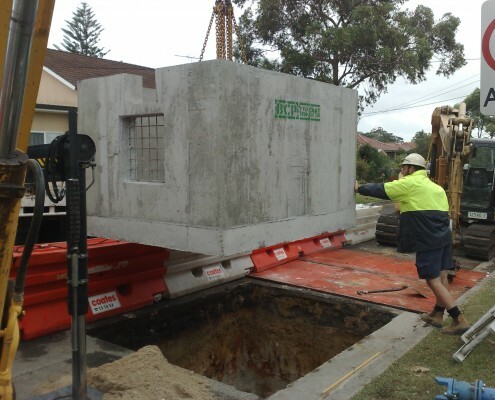 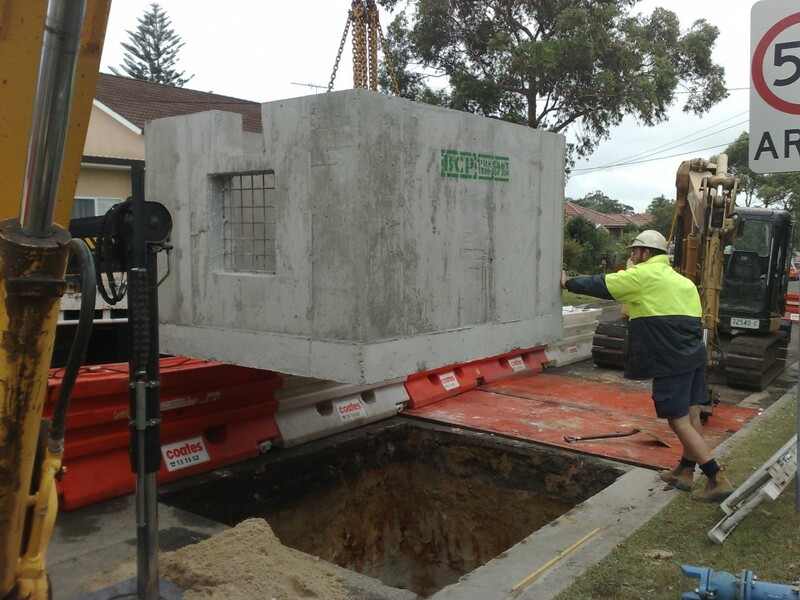 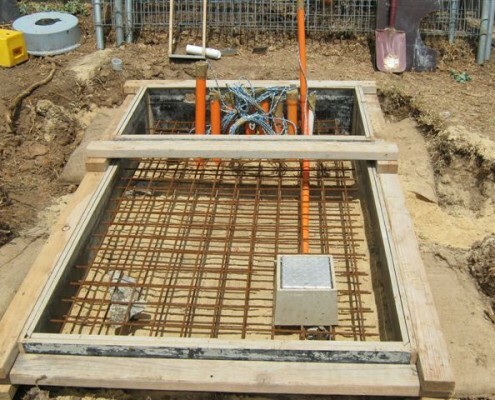 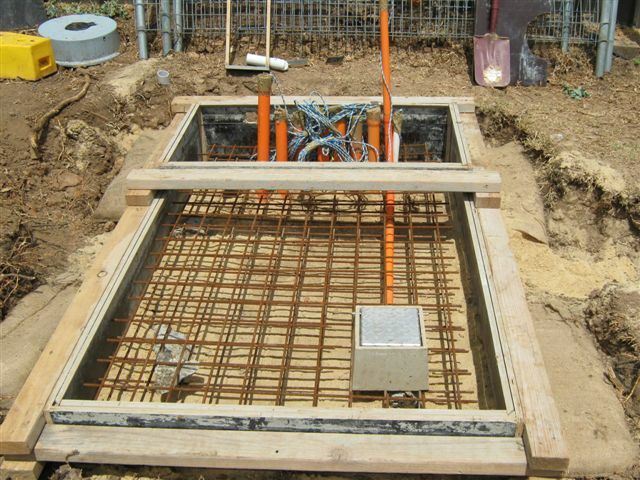 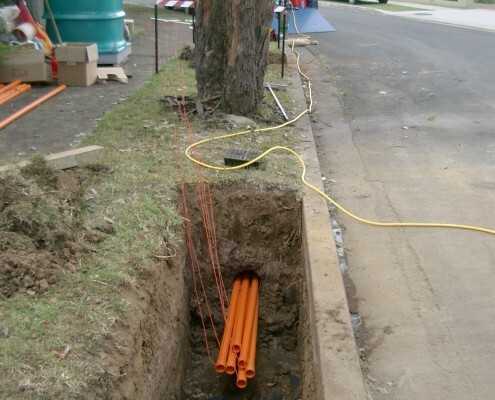 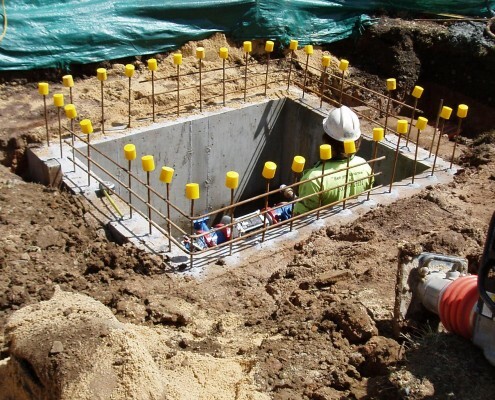 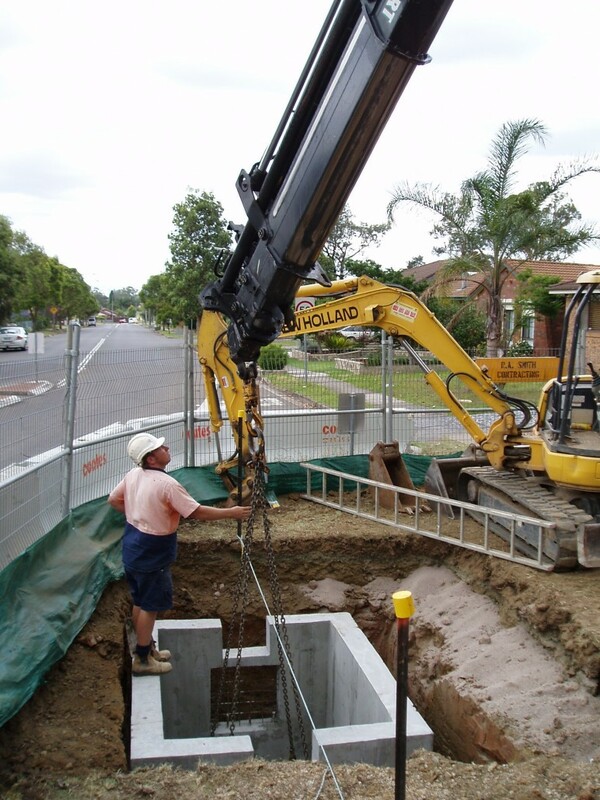 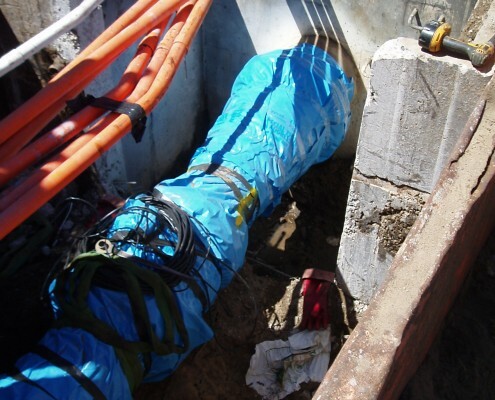 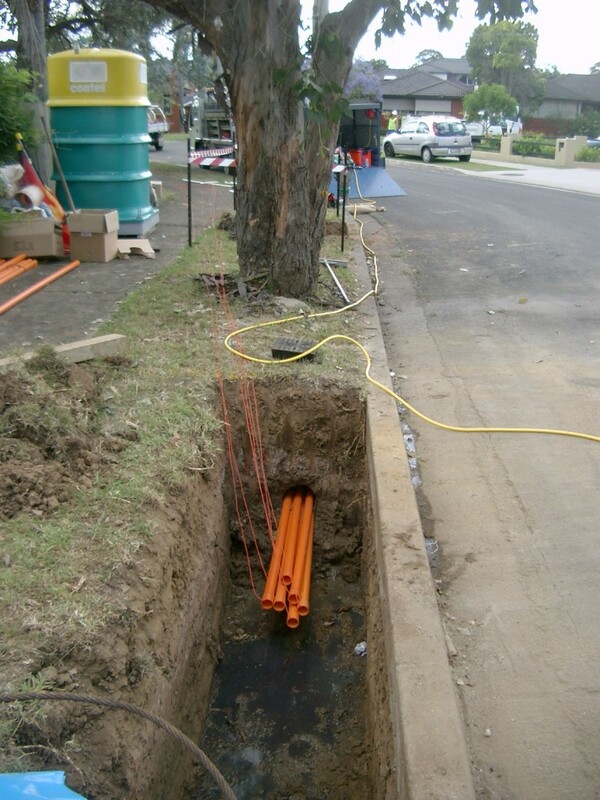 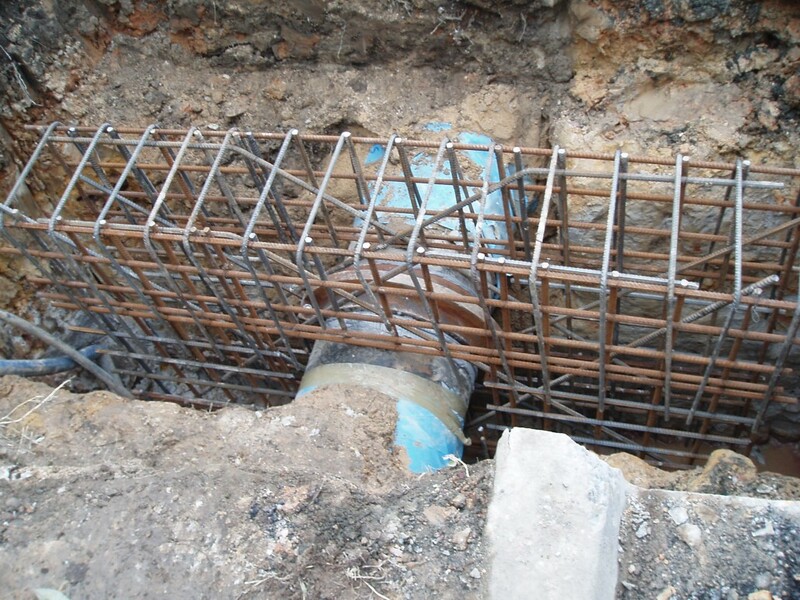 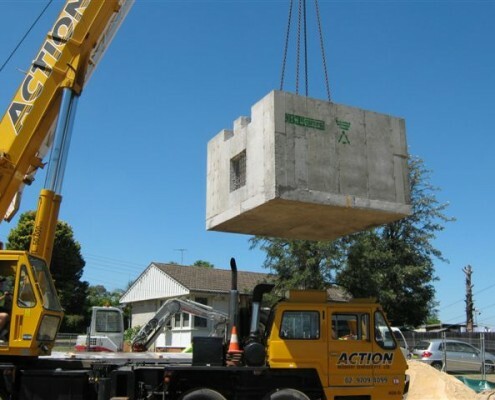 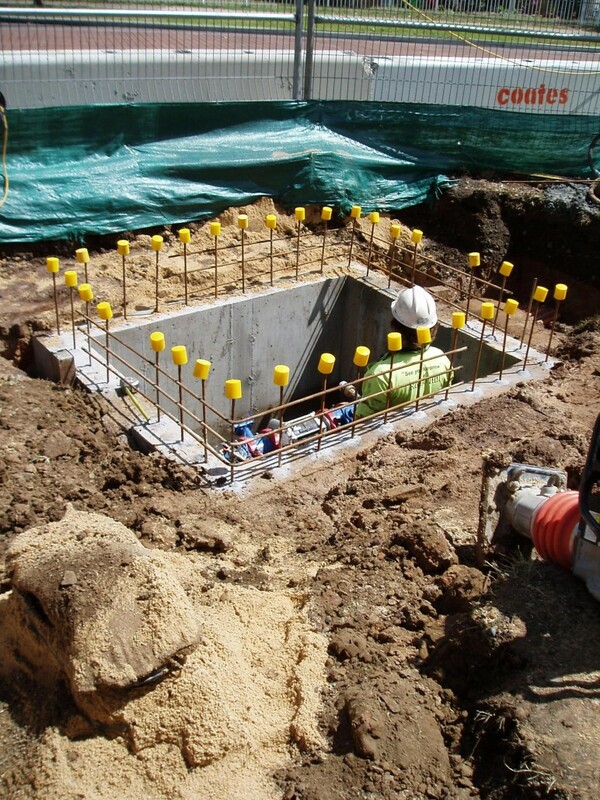 PRV installations involve large concrete pits to house the units, connections to the existing water supply and provision of electrical conduits for cabling. 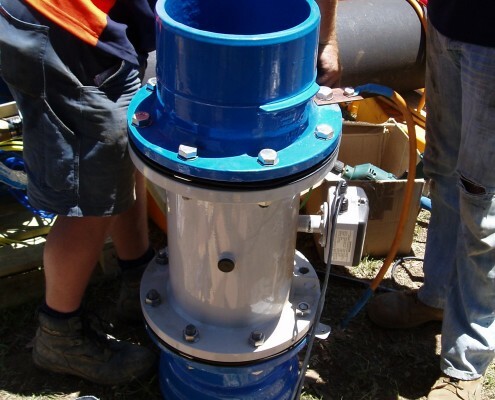 Replacement or new flowmeters are installed in-line on the water supply system and have been installed on mains from 200mm to 900mm diameter. 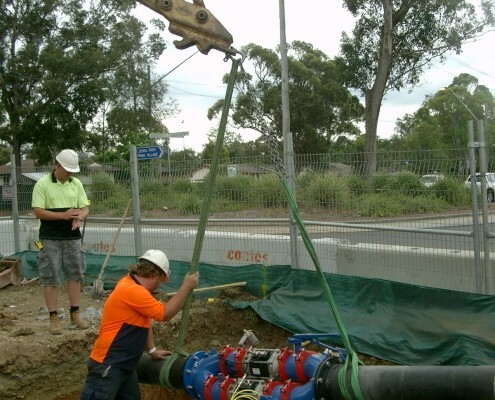 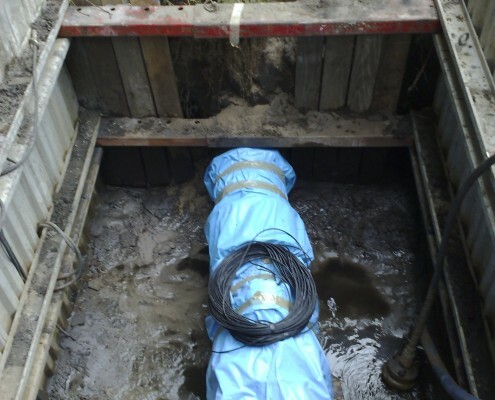 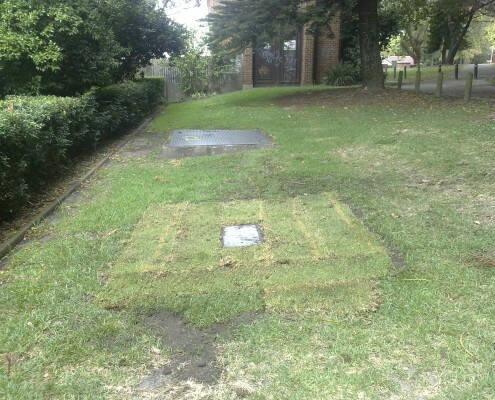 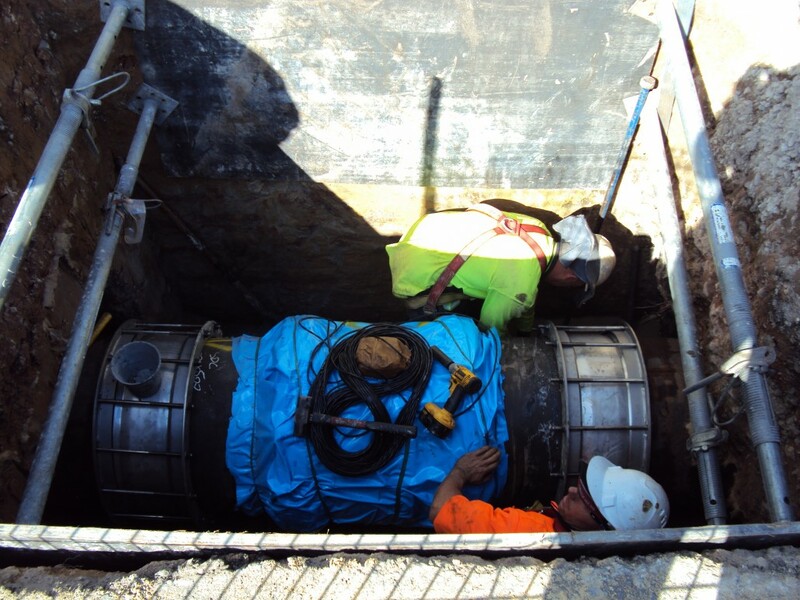 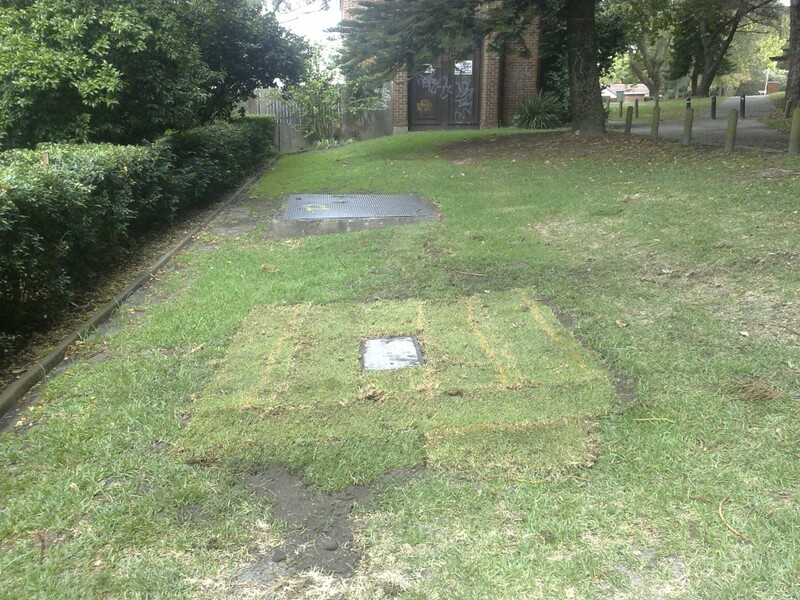 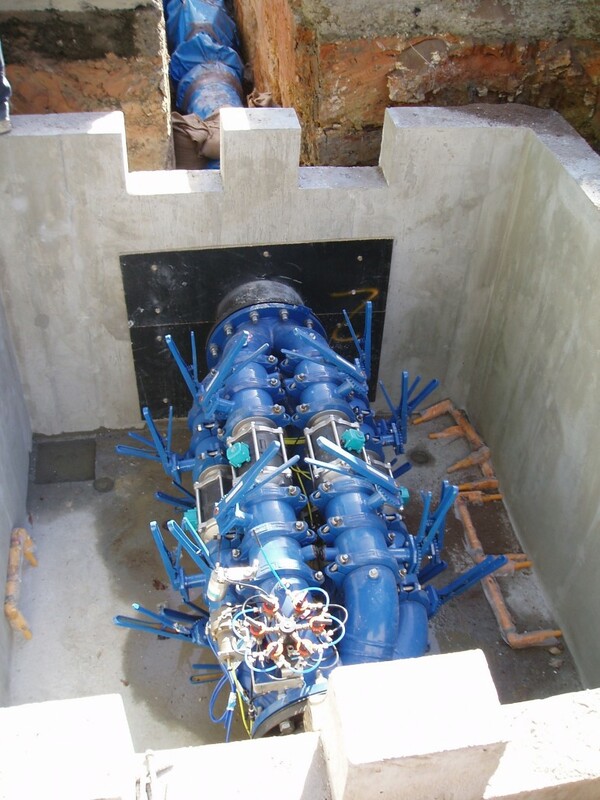 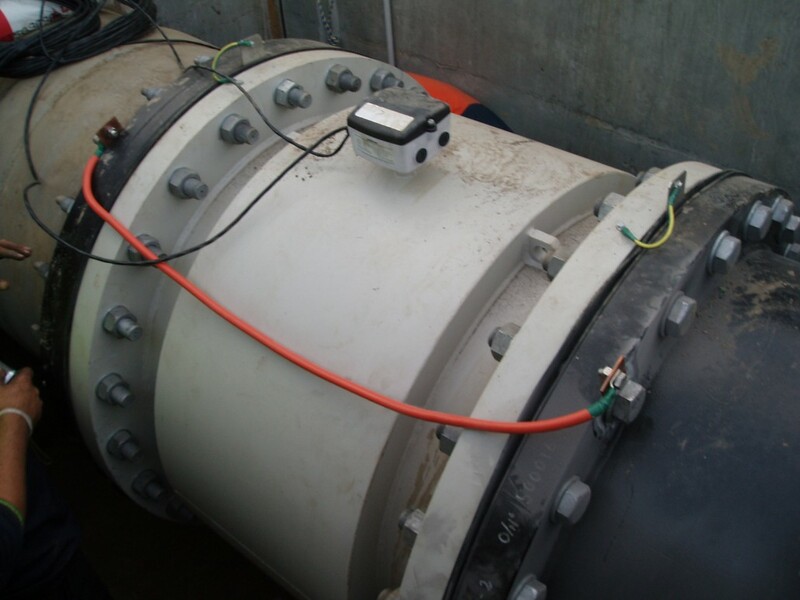 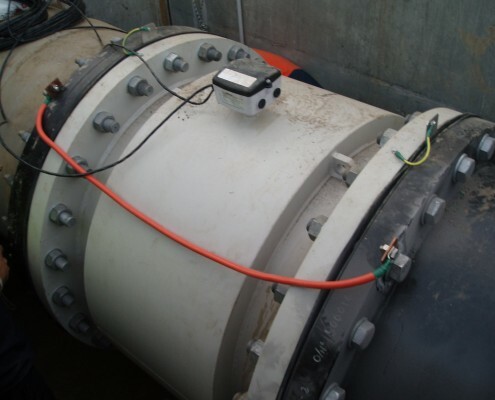 Flowmeter installations can involve deep and intricate excavations within public areas or reservoir sites. 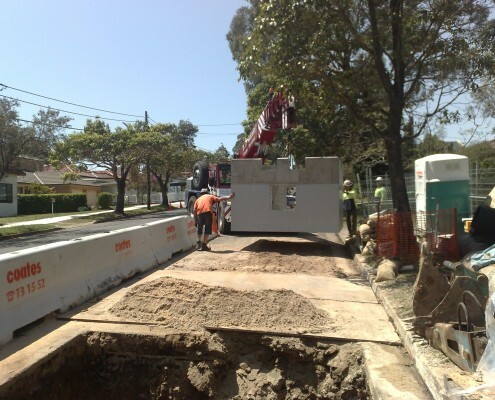 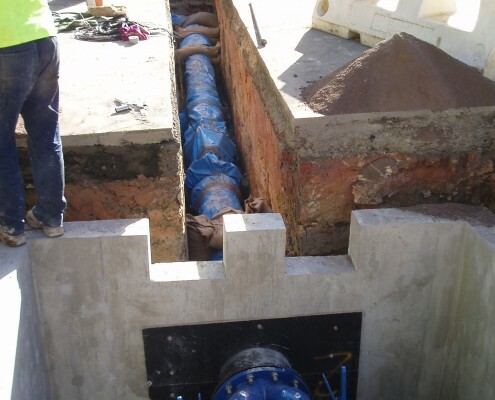 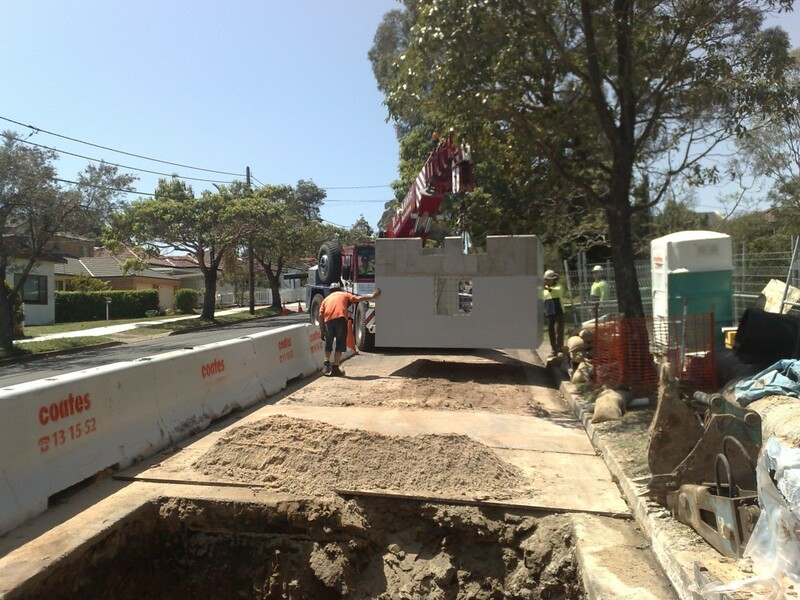 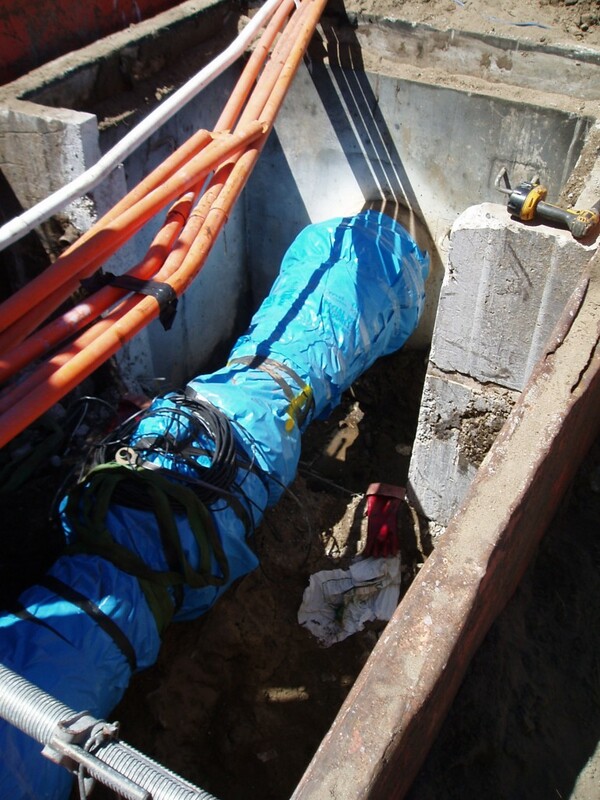 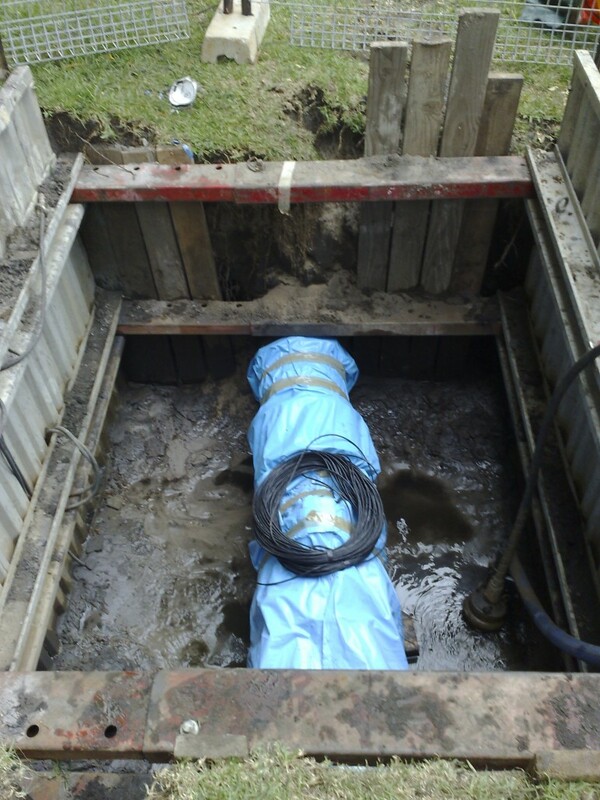 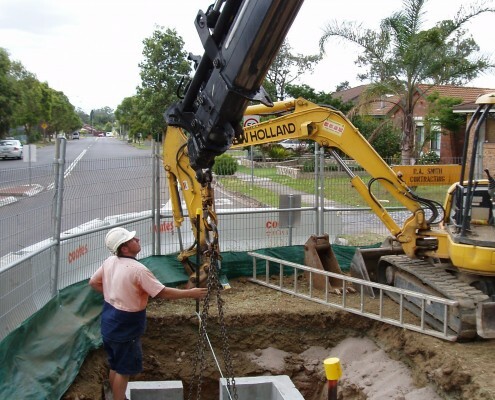 Our skilled personnel are experienced in trench shoring systems to allow access for the installation of the flowmeter and cabling.